London, 1665. A serial killer stalks his prey, scalpel in his hand and God’s vengeance in his heart. Five years after his restoration to the throne, Charles II leads his citizens by example, enjoying every excess. Londoners have slipped the shackles of puritanism and now flock to the cockpits, brothels and, especially, the theatres, where for the first time women are allowed to perform alongside the men. But not everyone is swept up in the excitement. Some see this liberated age as the new Babylon, and murder victims pile up in the streets, making no distinction in class between a royalist member of parliament and a Cheapside whore. But they have a few things in common: the victims are found with gemstones in their mouths. And they have not just been murdered; they’ve been . . . sacrificed. Now, with the plague is returning to the city with full force, attacking indiscriminately . . . and murder has found a new friend. 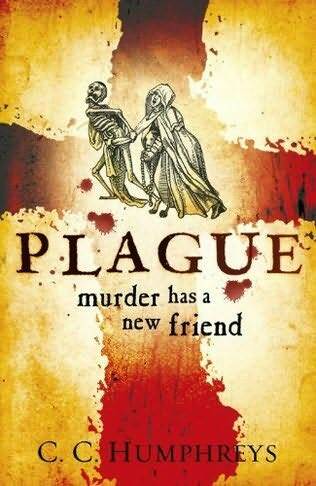 Plague for me was always going to be a difficult book by this exceptional author. 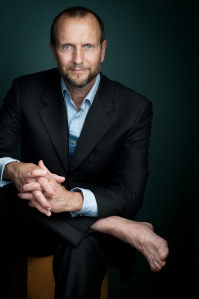 His last title Shakespear’s Rebel was just so amazingly well written, researched and composed, it became my book of the year last year, a book that had more than just writing passion, but I felt a little of the authors soul poured onto the pages. How can you follow that? Can you follow that? Plague isn’t in the same league as Shakespear’s Rebel, but once again C C Humphreys has served up a real reading treat. The book very patiently paints a vivid and real London of 1665 (the dirt and squalor, but also the families who live there), adding in the authors usual realistic and dramatic main characters, developing the plot introducing each character carefully and fully. Moving carefully from a Highwayman, to a dangerous killer who is every bit as nasty as Jack the ripper, to a thief catcher of one of the boroughs of London. It doesn’t end there, some big great players walk upon this stage, including the King, I really enjoyed seeing the king portrayed in the book, his love of theater giving the impression of a frivolous king, but clearly hidden under that a sharp and keen mind. As ever I enjoyed the introduction of one of the Absolute Clan, the link that ties the authors books together. Writing a book about the Plague is also a tough ask, its a seriously dark period of time, and a dark subject matter. Chris manages to imbue it with something different, the plague is happening, but it isn’t the key driver for the plot. There is instead a Psychotic and dangerous killer loose in London, a dangerous plot brewing, families struggling to survive the danger that is daily life, let alone the plague. All of this we see though the eyes of Captain Coke and Pitman the thief and the thief catcher. So while this isn’t a new Shakespeare Rebel, it is a plot with many many levels with characters real, but for me having a hint of the stage about them, not that i mind that, in fact i enjoy it in this author books because its coupled with such vivid portrayal of the time, place and circumstances (the many sub plots). So as ever I highly recommend this book, this time to fans of Historical Fiction, Crime, and books that are just brilliantly written.